From light chores to heavy-duty projects, Gorilla Grip Gloves are specialized for maximum durability, dexterity and hand protection. Gorilla Grip gloves are constructed of nylon and feature a specialized dip for wet and dry projects. These lightweight gloves allow your hands to breathe during tough tasks while maintaining an unmatched grip. Great gift box of 20 pairs. 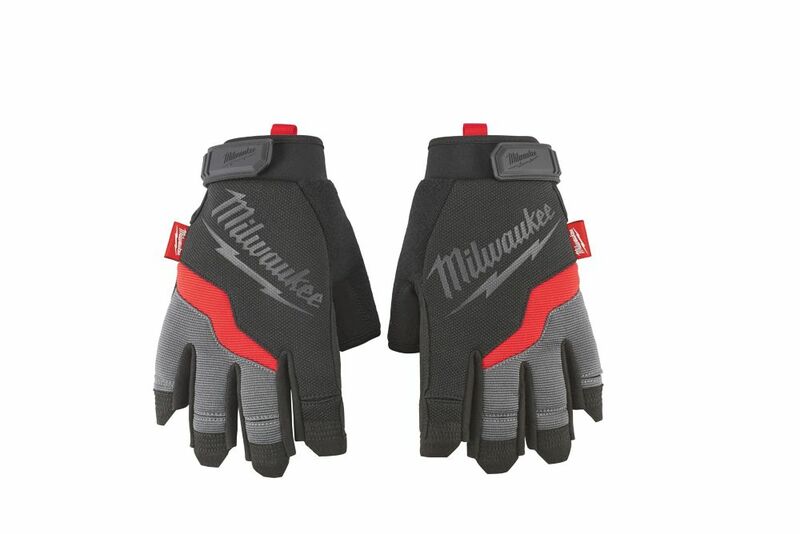 Small Fingerless Work Gloves Milwaukee Performance Fingerless Work Gloves are designed to provide Ultimate Durability and All Day Comfort. Featuring reinforced and padded palms for increased durability and cushioning, Milwaukee Work Gloves will provide best-in-class durability for the most demanding tasks. The fingerless design provides ultimate dexterity when handling small objects and the hook and loop closure ensures a secure fit. In addition, a breathable lining and built-in terry cloth sweat wipe ensure the gloves remain comfortable enough to wear all day. Small Fingerless Work Gloves is rated 5.0 out of 5 by 1.